Changes may be in store for The Shack Restaurant, with the College looking to purchase the property, though plans for the building are still unknown. The plans have been delayed because The Shack is currently leased, and all College purchase contracts require that the property be free and clear of liens and leases. A purchase agreement has been reached between the Syrios family and the College yet no agreement has been reached with the current tenants. “We haven’t had contact with the restaurant owners or employees. Our contact has been with the building owners. We are open to the possibility of the ground floor remaining a restaurant, and we have offered the current tenants who operate The Shack a new lease. 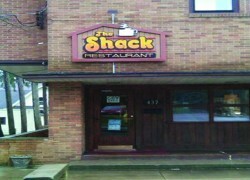 We would be happy to see the current occupants continue to operate The Shack after we purchase the building,” said Stickelmaier. The current tenants rejected a two-year lease offer. They chose to keep their current lease current lease, which states that any new owners of the building must offer and allow the lease to be renewed annually for 25 years. The two-year lease offer from the College would increase the rent of The Shack, as well as make the tenants responsible for all repairs and maintenance. In addition, the lease stipulates that the building must be brought up to code. It would cost somewhere between an estimated $100,000-120,000 to make repairs needed to bring the building up to code. The building was constructed in 1910 and The Shack first opened around 1915, and has been a part of the College life since. Additional reporting by Ian Benson.